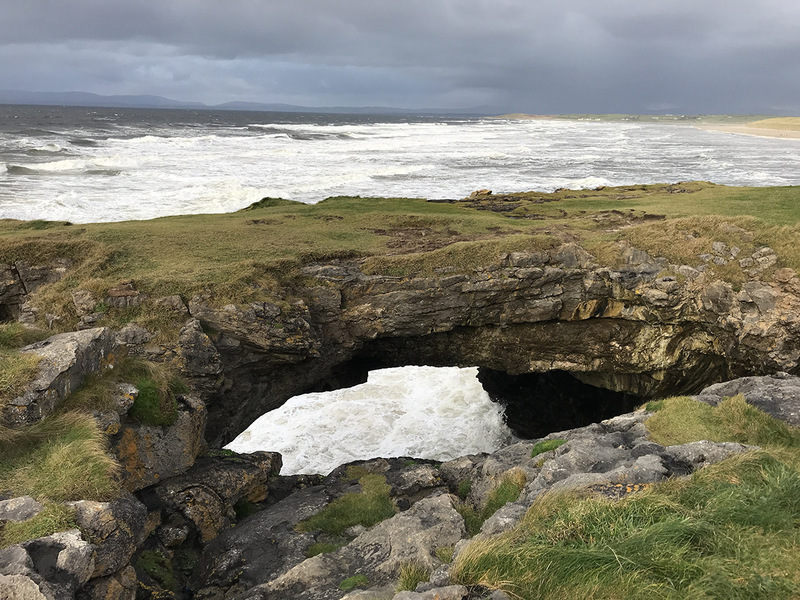 Sea stacks that are hundreds of years old, Fairy Bridges were the area's original tourist attraction way back in the 19th century. Long before then, locals believed these rocks were haunted by fairies--thus their name. Take a seat in the so-called "Wishing Chair," a natural formation overlooking the Atlantic Ocean. You may not find the rock formations themselves that exciting, but the views are spectacular and offer plenty of memorable photo opps. 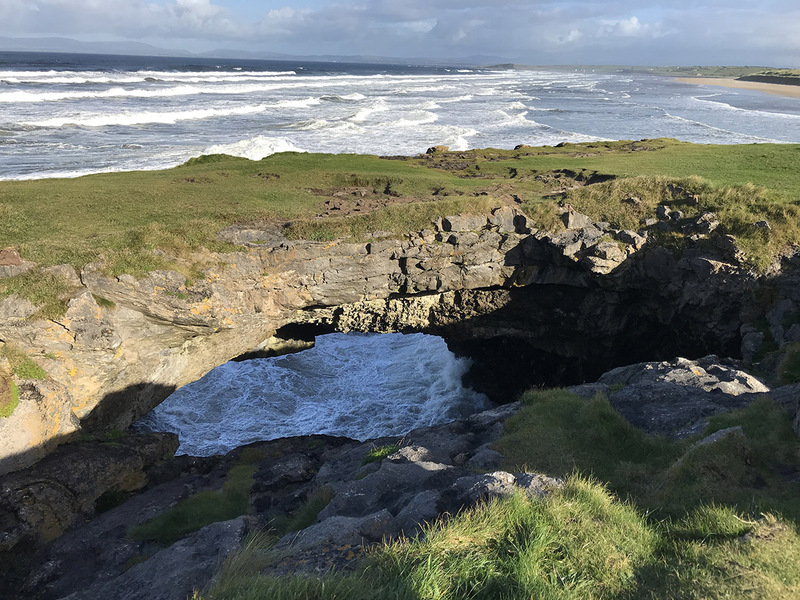 With our world travel planner, Bundoran attractions like Fairy Bridges can be center stage of your vacation plans, and you can find out about other attractions like it, unlike it, near it, and miles away. A pretty dune, over wide and long beach, with dozens of novice surfers at one end, under a high cliff. A great combination. It's a very steep walk down to the beach, though some of the young folks do it barefoot carrying surfboards. This location offers an amazing photo opportunity and it's just along the cliff walk. Definitely stop by the Fairy Bridge if you need to stretch your legs. Every day, we help thousands of travelers plan great vacations. Here are some tips on how to use your Listing Page to attract more travelers to your business - Fairy Bridges. 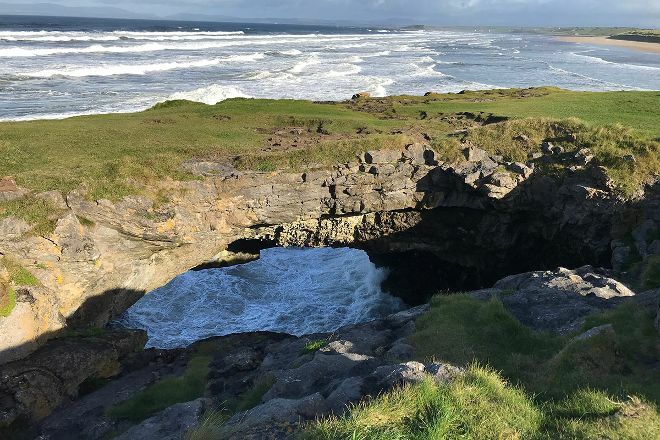 Promote your permanent link - https://www.inspirock.com/ireland/bundoran/fairy-bridges-a8226886107 - on your website, your blog, and social media. When a traveler builds a plan from this page, the itinerary automatically includes Fairy Bridges. This is a great way for travelers looking for a great vacation in your city or country to also experience Fairy Bridges. Promoting your link also lets your audience know that you are featured on a rapidly growing travel site. In addition, the more this page is used, the more we will promote Fairy Bridges to other Inspirock users. For best results, use the customized Trip Planning Widget for Fairy Bridges on your website. It has all the advantages mentioned above, plus users to your site can conveniently access it directly on your site. Visitors to your site will appreciate you offering them help with planning their vacation. Setting this up takes just a few minutes - Click here for instructions.